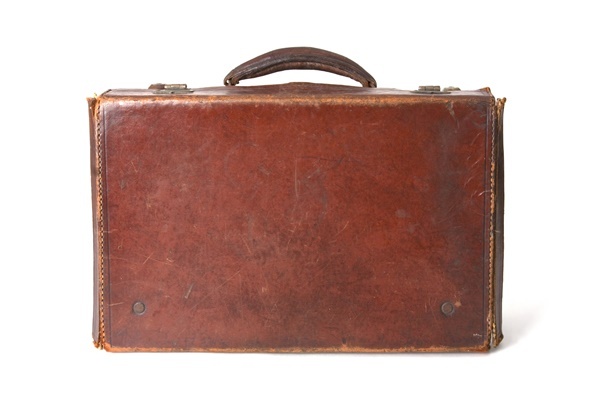 Who knows exactly what will be in the Chancellor’s briefcase this year. Something we do know here at Real Africa though is that everyone loves good value for money. We’ll tell you how to sniff out those killer deals, what destinations offer best value and when to go. 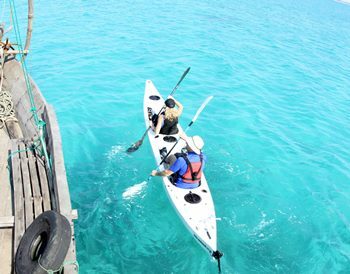 By travelling off season you can save yourself serious money and avoid the crowds. 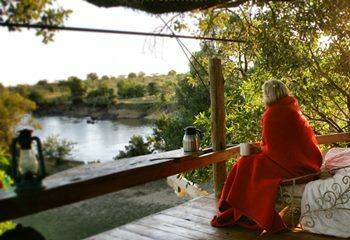 In Botswana, the Green Season stretches from November to March with lodges offering superb savings at this time of year compared to the peak dry season months of July-October when costs can double. If you don’t mind a bit of rain or the odd thunder storm, you will be rewarded with some incredibly exciting wildlife. 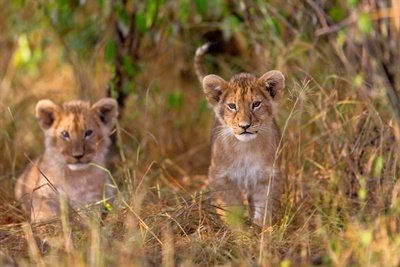 The latest sightings report from Kwando in Botswana talks about lions with cubs, wild dogs up close and plentiful bird life. You can find out more about Botswana’s Green Season and read the latest Sightings Report here. 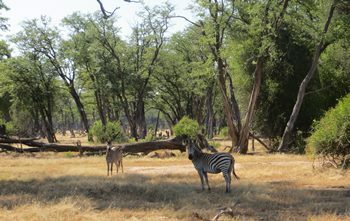 Green Season specials for Botswana are usually released at the end of February or in early March time. They always book up very quickly. Keep an eye on our news posts. In South Africa, December and January are the peak hot and dry months – many local South Africans take their holiday at this time and it can get very busy. In contrast September to November are far quieter – this is a particularly good time for whale watching along the Cape coast with the Whale Festival in Hermanus in September/October. Game viewing in Kruger is excellent during these dry months as wildlife congregates around water holes (and the slightly cooler dry weather means fewer mosquitoes). 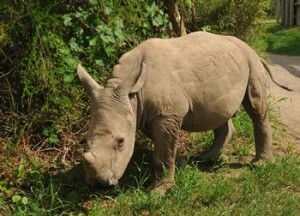 March and April are also good months to travel in South Africa since the weather is pleasantly warm and not too windy. After Easter, lodges tend to be far quieter and flight prices come down too. There are usually some good special offers about at this time, like the exceptional City & Safari offer which stays at Amakhala Game Reserve. In East Africa the long rains arrive from March to May and the region is quieter overall with good value to be enjoyed at the lodges – in the Masai Mara in Kenya you can expect heavy afternoon downpours but game viewing can be scheduled around this. 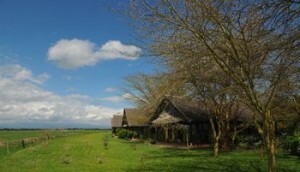 March is actually a fantastic time to be in the Mara. Sunrises and sunsets are spectacular and children love the excitement of a downpour and the slippery mud roads which result. With the first rain, flowers start to bloom, like the fireball lillies out on the plains. Trees start to fruit, like the Warburgia, which brings wildlife like elephants and monkeys in around camp. March is also the start of the Mini Migration, often overshadowed by the Great Migration but still a notable event. Around 300,000 zebra and wildebeest, many of which have calves born in February, arrive from the Loita Hills to graze on the Mara plains. 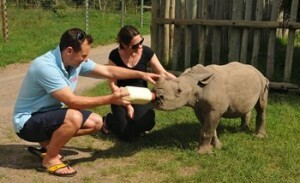 There are many baby animals to be seen from hyena cubs to baby giraffe. 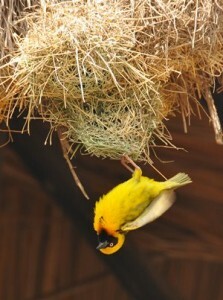 In Tanzania the Southern Parks offer best value. Ruaha and Selous are not as visited as the Northern Circuit parks and therefore demand is less and rates tend to be more competitive. You’ll find prime bush, excellent wildlife and rustic but characterful lodges in great locations. 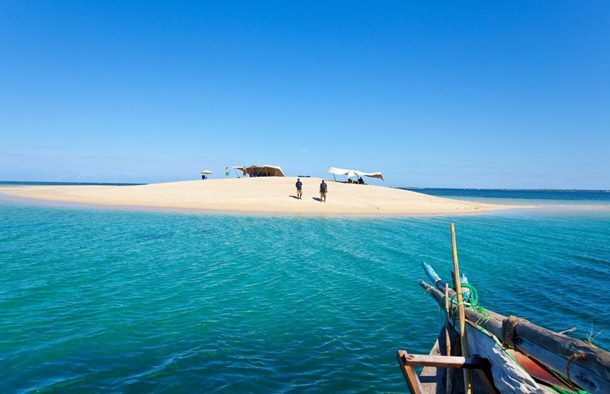 Click here to see a sample safari and beach itinerary in Southern Tanzania. National Park lodges and camps are usually more affordable than those in private concessions, followed as a general rule, by the lesser known reserves. 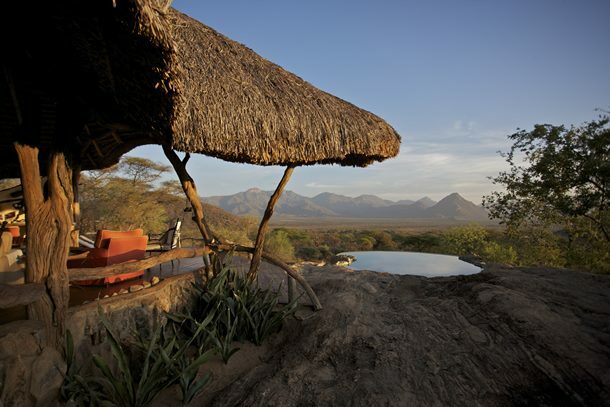 In Kenya, rather than stay in the Masai Mara itself, opt for the Mara North Conservancy and in South Africa consider Manyeleti Game Reserve which borders Kruger as an alternative to well-known Sabi Sands. There are no fences to constrict the movement of the game and so you will still enjoy prime bush and wildlife but without the inflated price tag. 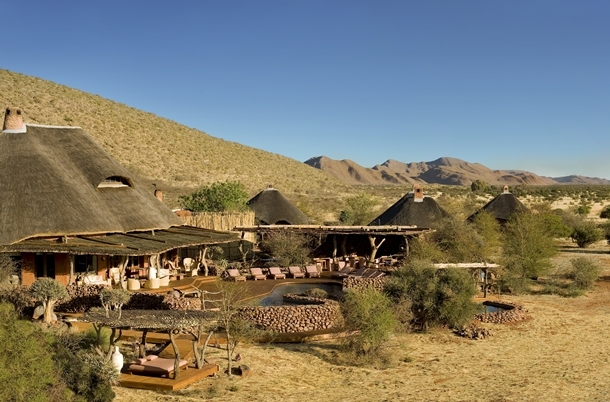 Click here to find out more about Honeyguide Mantobeni camp in Manyeleti Game Reserve. 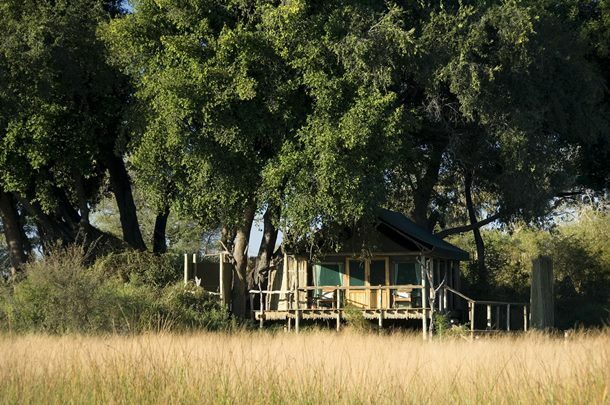 If you are desperate to visit iconic reserves then consider new lodges or camps which may have introductory offers until they are established. We often post announcements like this on our news pages on our website. The exchange rate undeniably makes South Africa a fabulously good value destination at the moment. Currently you can get around 17 Rand to the Pound which means that you can eat, drink and stay like a king if you want to. Namibia also works off the rand exchange rate. 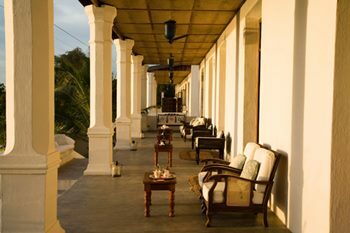 Many of our lodges are full board or all-inclusive offering great value for money. You pay for everything up front and this takes away any hassle about paying in local currency. This can make a real difference to your enjoyment and overall spend. 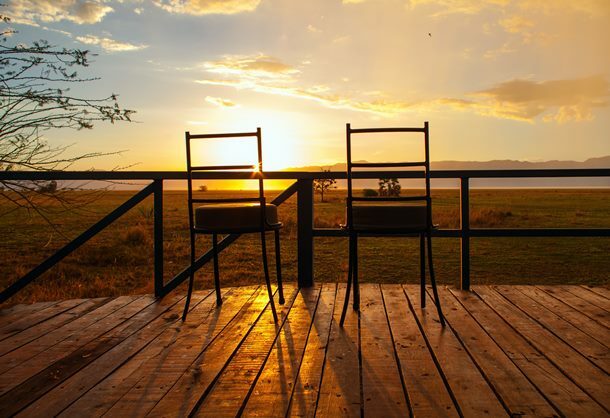 One of our favourite lodges is Karen Blixen Tented Camp in Kenya’s Mara North Conservancy – not only are all local drinks included in the full-board stay but we also have an incredible offer allowing you to enjoy four nights for the price of three. Our safaris in East Africa use a private vehicle and guide, and comfortably seat 6 guests, giving you maximum flexibility. By going with friends or family members and sharing the vehicle you can keep prices down. With holidays to South Africa if you are travelling on a standard UK passport then you should not need a visa which represents a significant saving for a family of four, for instance. In addition, game reserves in the Eastern Cape are malaria free saving you a further outlay on anti-malarials. The best way to keep track of safari news, like new lodges and wildlife sightings, or to hear about special offers is to subscribe to our monthly newsletter and to ‘like’ us on Facebook. 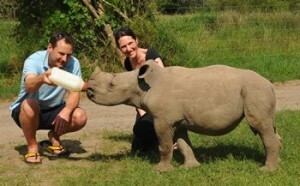 Can I go on safari for less than £3000? Yes you can. 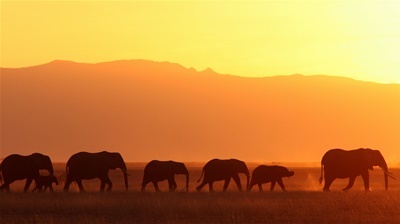 South Africa and Kenya would currently be the best value safari destinations and you can safari here for less than £2500 – our sample 19 day itinerary Ultimate Garden Route gives you an idea of the exceptional value. Week long lodge safaris in Kenya, like the Kenya Express or the Family Half Term Safari Fix, in the off-season start at just over £2000 per person including international flights, taxes and transfers – and with a private vehicle and guide. 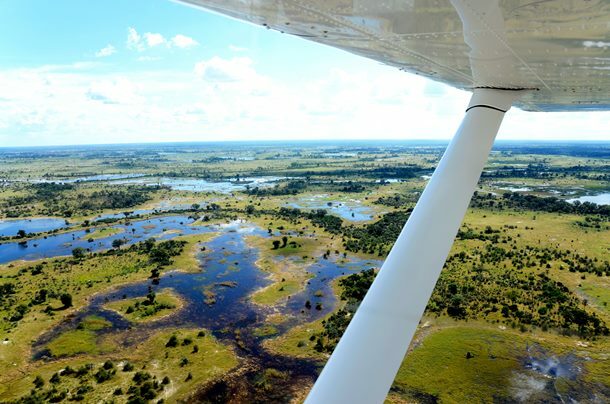 Our current Botswana Green Season special including all flights and transfers is £3,095. Once again Real Africa’s most intrepid explorer, Lily, has been on another epic trip. This time she went to Kenya to visit some of our favourite properties and catching up with all our wonderful safari guides and local personnel. She has as usual written it all down and given us some superbly detailed reports. Her fascinating journal acts as an excellent guide as what to expect on a Real Africa safari in Kenya. Over to you Lily! After a very comfortable overnight flight on Kenya Airways from Heathrow to Nairobi my journey started straight away with a fascinating 3 and a half hour drive from Nairobi, passing through the Central Highlands which are the political and economic heartlands of Kenya. En route I passed the signpost to Thika which immediately brought back memories of Elspeth Huxley’s famous book “The Flame Trees of Thika” which tells all about her childhood in the early settler days of the 20th Century in rural Kenya. It’s a great read and I highly recommend reading it before a trip to Kenya. This area was heavily colonised by the British and it was Mount Kenya, Africa’s second highest peak, that gave the colonial nation its English name. The majority of British and European settlers carved their farms from the countryside around it and it is easy to understand why this was favoured White Settler country. The range of scenery I passed by was amazing in its diversity. In this area the cultivation of land on farms and plantations reveals rich red earth giving forth plenty of crops, many of which end up on tables in the UK such as coffee and green beans. Mount Kenya looms over the area although when I visited it was covered in cloud marking the beginning of the autumn rainy season. The scenery is so interesting all along the route with brightly coloured jungle and shambas, pale windswept moors, dense conifer plantations as well as busy towns and villages en route. Another noteworthy sight included five people crammed onto a motorbike (a new law permits only two but in Kenya rules don’t always apply!). 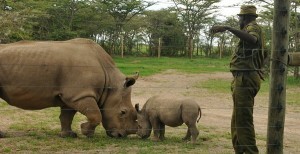 By lunchtime we reached the gates of our first destination, the Ol Pejeta Conservancy. This is a non-profit wildlife conservancy supporting endangered species, tourism and also vital community work and outreach support. We carried on to our accommodation for the night, Serena Sweetwaters Tented Camp where we were warmly welcomed by the management team. Having sent many clients to this camp, it was a pleasure to be here in person at last. 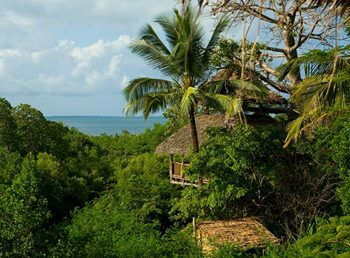 We stayed in one of the new luxurious Morani tents with a thatched roof. It was very spacious indeed with decking and great views out to the plain. The camp is fenced but that doesn’t stop plains game from hopping over to spend time in camp with the guests. Mind you for them it is a much safer option than the other side of the fence amongst the Sweetwaters’ various prides of lion! 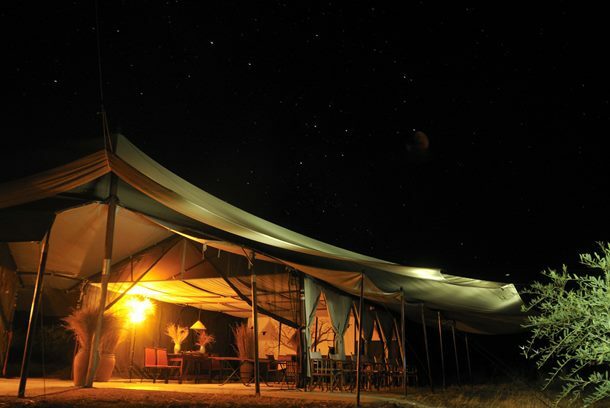 We had company throughout the night in the form of five waterbuck and impala who grazed contentedly outside our tent. But, first of all, after showering away the travel dust, we made our way to the dining tent and were served a truly delicious buffet with such helpful staff. Although the camp was full the attention of staff was very superb and personal and it really felt like a small, intimate camp. Finally at the end of my first day in Kenya it was off to bed with hot water bottles and with our camp antelope to stand guard, we had a very good night’s sleep! The following day a very welcome hot coffee was brought to our tent before we headed off to breakfast. Then it was back to work as I went off on a site inspection of the camp to investigate all the different ranges of tents and accommodation available. 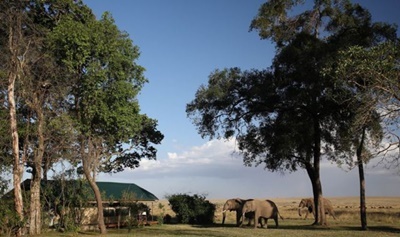 The whole camp is expertly run and very comfortable and the opportunities to observe the wildlife and get involved with the conservation effort are fantastic. Only two minutes from the camp gates, we came across a lion pride – about 4 lionesses and cubs. Amazing! – they were just lazing about by the track and then they ambled in front of the vehicle, gave us a good look then wandered off into the bush. It wasn’t even a proper game drive – we were on a transfer off to the Sweetwaters Chimp Sanctuary! That was definitely worth a visit and we were all very impressed with the work the team do in protecting and looking after the chimps. We walked into the forested area with a very knowledgeable guide which gave us all a good insight into the habitat of the chimps. There is also a very interesting museum and information centre on the site. At the Morani Information Centre, we were taken to meet Baracka, the blind black rhino, who we fed with hay from a raised wooden viewing platform. 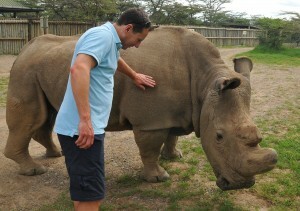 Getting so close to a rare rhino was an incredible experience indeed. We also visited the information centre where we learned from our hosts all about rhinos; from how to differentiate one set of horns from another, to ways of telling apart different kinds of droppings, the guides take it upon themselves to demonstrate the fact that there is no such thing as “too much” information. After a fascinating morning I sadly left Ol Pejeta Conservancy, a place with so much to offer the visitor, and headed off to the next stage of my Kenyan adventure. A real experience at Ol Pejeta is the Endangered Species Boma where it is possible to drive in the Boma and get really close to some of the world’s most endangered species (booking essential). 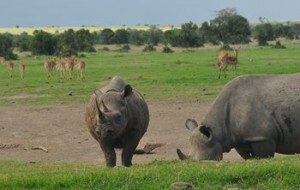 Ol Pejeta has the largest concentration of Black Rhino, about 88 of them, in one place in all of in Africa. It is also home to seven Southern White rhino and four of the seven last remaining Northern White rhino which had been living in a Czech Republic zoo and who were brought to Ol Pejeta in 2009. 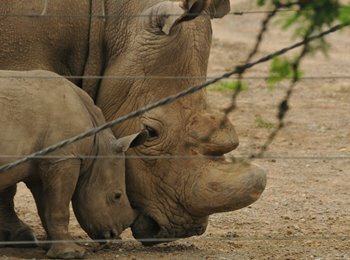 The Morani Information Centre named after a favourite black rhino now educates visitors on black rhinos and their work to conserve these highly endangered animals. It also offers visitors a chance to learn about the various species of wildlife present on the Conservancy and to provide comprehensive information about how a modern wildlife Conservancy works. The Sweetwaters Chimpanzee Sanctuary is the only place in Kenya where this highly endangered, intelligent species can be seen. 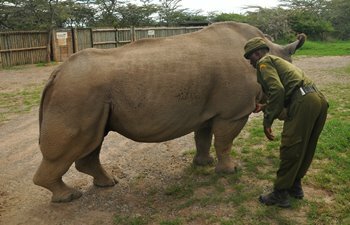 It was opened in 1993 in a negotiated agreement between the Ol Pejeta Conservancy, the Kenya Wildlife Service (KWS) and the Jane Goodall Institute. The facility was initially established to receive and provide lifelong refuge to orphaned and abused chimpanzees from West and Central Africa. An initial group of three chimpanzee orphans were brought to the sanctuary from a facility in Bujumbura, Burundi in 1993. Over the last decade Sweetwaters Chimpanzee Sanctuary has been compelled to keep accepting chimpanzees rescued from traumatic situations bringing the total number of chimpanzees in the sanctuary nowadays to 42. At Sweetwaters Sanctuary chimpanzees are being carefully nursed back to health so they can enjoy the rest of their days in the safety of a vast natural enclosure. The chimpanzees live in two large groups separated by the Ewaso Nyiro River. Sweetwaters is a chartered member of the Pan African Sanctuary Alliance (PASA), an alliance of 18 sanctuaries in 12 African countries, currently caring for over 800 orphaned and/or confiscated chimpanzees. PASA’s role is to help conserve chimpanzees and other primates and their habitats through public education and lobbying for political goodwill. Ol Pejeta has some of the highest densities of predators in Kenya and is home to some magnificent lion prides. Some of these lions are collared for monitoring purposes to help the management make crucial decisions on their conservation. The African lion population has declined by 30-50% in just over two decades, a reduction largely due to habitat loss and conflict with humans. Statistics reveal that the national population of lions in Kenya is reduced by an average of 100 lions each year! To come up with solutions aimed at mitigating the human-lion conflict, conservationists monitor lion movements through collars. 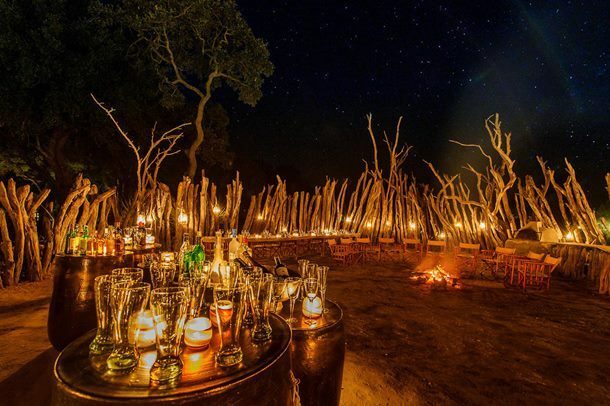 Visitors have the opportunity to be involved in this crucial research by booking a unique lion tracking safari only available at Sweetwaters Camp. The Masai Mara had plenty of rain in the first two weeks of the month, with rain showers becoming isolated and lighter towards mid-month and drying out in the last week. Towards the end of the month the midday temperatures were higher, reaching around 30 Celsius and the days longer. The sun is rising noticeably earlier with first light at 6am. The grass on the plains has been short and lush, it would be a couple of foot higher after the unseasonal amount of rain we have had over the last months, but for the constant grazing by the zebra and wildebeest. Fireball and Pyjama lilies dot the plains bringing unexpected splashes of colour to the grasslands. October has been a great month for the wildebeest migration, the vast herds moving around a little more, following the smell of rain and searching for the new nutritious growth. From one day to the next they moved around, travelling from the marsh area, over Rhino Ridge and to the Talek River and back again. The last two weeks of the month saw the majority moving south towards the Serengeti, but some large groups remained in the area and we managed to see some really good river crossings. The crocodiles were still hunting the wildebeest as they crossed. There have been huge herds of zebra moving into the long grass which still stands at this late stage, followed by the wildebeest and topi. These immense herds have been providing spectacular game viewing from the hot air balloon. The resident Loita migration has settled back into the Northern part of the Mara. The Loita plains to the east which can be seen on the flight to Nairobi before the rift valley drops away has not received the rains that the Mara has. Our very large resident buffalo herd with all its maturing young has spent most of its time in search of any remaining long grass that the zebra and wildebeest may have graciously left behind. They return every few days to the marsh for water or drink from the pools left by the seasonal streams leading to the Mara River. 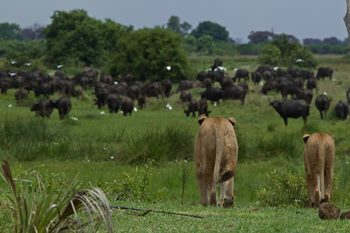 The buffalo herd practiced a great survival tactic, giving birth to their young whilst the migration were in the area, this meant their main predators, lion and hyena were busy preying on easier game. Most plains game had their calves in October in anticipation of the November rain. The gazelles and warthog gave birth toward the start of the month and the impala, topi and hartebeest at the end. Right now there are some very anxious and protective mothers, bounding away from the slightest threat with their calf following in hot pursuit on their precarious legs. The elephant have some very young calves too, still so small they fit easily under their mother’s chest and with a thick protective coat of bristled hair. We have had a few migratory birds through the Mara: European and White-fronted bee-eaters, Montague and Pallid harriers, Common Kestrels, Steppes Eagles, African Cuckoos, Spoon-billed storks. There have been a couple of rare sightings of Egyptian Vultures. The trees and lianas in the Mara River forest have been flowering and fruiting, one in particular the Turrea floribunda has flowers and has a beautiful scent almost like Jasmine. The Pristemera polyantha seeds have dropped off and fly away cleverly as mini helicopters. The bright red fruit of the Lepisanthes senagalensis is a big favourite with the baboons as well. We have had few sightings of the rhino our side of the river, but on one occasion a male just stayed undisturbed whilst our guests managed to get some great shots and spend some time with him. 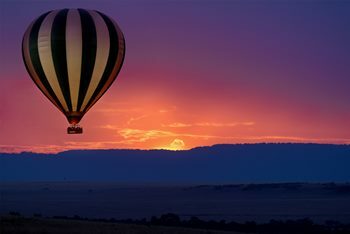 The ballooners have been lucky enough to see the mother and calf and a male rhino on many of their flights and game drives. The Mara River hippos are very content as they have plenty of grazing, although moving further out on to the plains than usual. There has been the odd mating, but no serious fights and territorial displays, so all fairly peaceful in the river. The Marsh Pride of lions have been spending their time at the Marsh in front of the Governors’ Camps as they have for the past few months now, they are seen as far as Bila Shaka river, which is still close by. The pride hunt at night and are found coming back to the marsh after following the wildebeest which are on the move further afield. The lioness with the three younger cubs tends to stay behind. The pride males are mostly with the pride, the older male Claude happy not to move very far as he still has a bad limp and has become dependent on the lionesses. The sub-adults from the previous litter are spending all their time away from their maternal pride. The five males have been moving along with the wildebeest towards Paradise Plains, they had killed a young hippo which is quite a feat for the young fellows. Two large but young nomadic males slipped into the Bila Shaka area where the sub-adult females have been and mated with two of them. Being too young to have cubs, these females took exception to the intrusion and fought them off. The nomads have not been seen again. The Ridge Pride has not been seen much with only two reported sightings of two of the lionesses and four cubs. They may be confused with other lions as they follow the migration into other territories. The Paradise Pride has also been fairly elusive. The three females and their six cubs being seen on most days near the main crossing area. The other females and cubs must be further into the croton bushes or have moved across the river. The five males which are nearly the same size as Notch now with deeper darker manes have been moonlighting elsewhere. Only two have been seen a few times with Notch. Notch has been mating with a single lioness, she has not been sighted after their ordeal either. Finally we have found Shakira, the cheetah last seen nearly a year ago with three large cubs. She was first spotted beyond Talek river toward the Ol keju Rongai river and not alone, she has six 4 – 5 month old cubs. She is definitely one of the most successful cheetah mothers in the Mara. We presume her three cubs are still well and somewhere in the Mara Triangle west of the Mara River. Shakira has been killing most days, we had a wonderful sighting of her taking down a fully grown Grants Gazelle and all the cubs called over to feast. The female and her one cub with the bad eye have been seen regularly, she has jumped up on a few cars as well much to peoples delight. We had a short time with the mother and two male cubs at the beginning of the month, she then moved on into the Ol-Kinyei area and has as yet not returned. Olive the leopard has been seen regularly and together with her two sons on occasion, who seem reluctant to leave home. Olive disappeared for a couple of weeks during the month, some people believing she may have been pregnant and could have a new litter, we will be sure to keep you posted. There have been sightings of the female with one cub higher up on the Ntiakitiak river as well as another female not too far away up on the Talek river with her two older cubs. The Il Moran leopard has been around, preferring the denser growth of the forest and keeping away from the company of lions and baboons during the day. She has been seen up at the marsh hiding behind fallen trees and keeping a low profile. Late in the evening once the baboons band back together to head back to the trees she relaxes and will become a bit more visible.